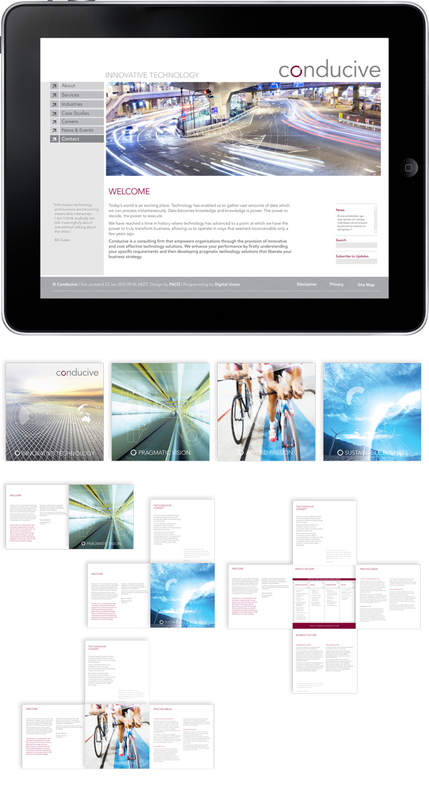 Conducive is a consulting firm that empowers organisations through the provision of innovative technology solutions. To refresh their brand an abstract photography concept was developed. It is based on the idea of moving objects which have a suggestive feel of moving, pushing forward and having vision. These images were overlayed with infograms which visually link to the information technology world.